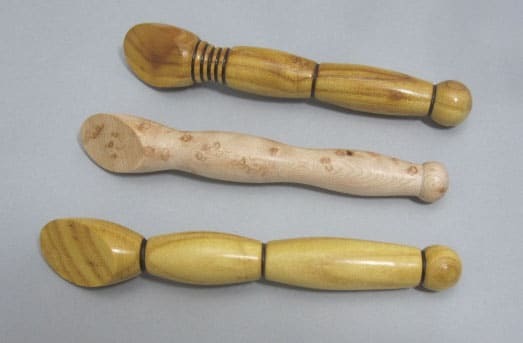 This turning is a small and convenient tool used to press seams open or to one side. 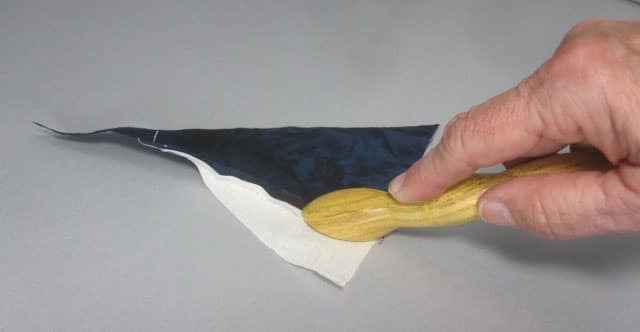 It is ideal for use with paper piecing. The press is made from Ozarks hardwood, approx. 7″ long, ¾” diameter with a 30° press angle. The press surface has three coats of shellac for a smooth finish that glides over your fabric. Decorative embellishments are at the whim of the turner.